If you have accumulated a decent amount of debt on a variety of credit cards, you can save yourself thousands in potential interest rates by acquiring a new credit card that features great deals on balance transfers. You can pay off the old cards within the low interest period to improve your credit rating, pay off your debt and feel more financially secure. Look for these five features on your next balance transfer card. The benefit of a balance transfer credit card is the low interest rate. Look for a card that offers a low interest rate, such as under 5%. Many balance transfer cards offer an introductory interest rate of 0%. Although you will use the credit card primarily to pay off your old debt, be sure that the card also has a good interest rate after the introductory period so that you will not be surprised by huge interest charges when the card transitions from the introductory period to the regular period. To get the best bang for your buck, look for a credit card that offers a long balance transfer period. This longer period will provide you with the necessary time to pay off your balances. Some cards only provide a three month to a six month transfer period. Other cards provider a longer balance transfer period, such as a twelve month or twenty-four month period. Since your goal is to pay off your debt at the lowest price possible, a long balance transfer period is crucial to your success. Some balance transfer credit cards provide a 0% interest rate, but then gouge you with high balance transfer fees. These fees can quickly add up. For example, if you have large balances on multiple credit cards, a 3% fee on the amount of debt you transfer can quickly add up to hundreds or thousands in fees. Compare the interest rate and the balance transfer fees to ensure that you get the best deal. 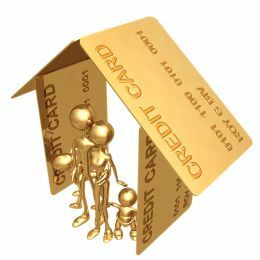 Try to obtain the card that provides the best balance between a low interest rate and low fees. Some balance transfer credit cards offer cash back. This is more common with balance transfer cards that have balance transfer fees. The cash back on balance transfers can help offset the cost of transferring the balances. Compare the amount of the balance fees and the interest rate that it will take to fund your balance transfer. Then subtract the amount of any applicable cash back offers. Compare this number to the amount that it would cost you to use another card that has lower fees but no cash back. If a card that does not provide you with cash back is cheaper, you may want to go with that card. However, even if it is a little more expensive to use the cash back card, you may want to choose the cash back card to have access to this feature. Some balance transfer cards also offer cash back on purchases which may make it more attractive for future use. Read the fine print for any restrictions on cash back, such as cash back that is only for gas or utility payments. While your temporary goal is to save money on paying off your existing debt, you may want to look for additional attractive features that the card offers that will be valuable to you in the future. Some cards provide you with discounts for groceries or healthcare. Other provide free travel agent assistance. Andy writes about managing money for a UK financial comparison website. He has contributed to reviewing a range of balance transfers available from FinanceChoices.co.uk that help consumers get out of debt faster and with less interest paid. You can get in touch with him by following him on Twitter.